Ecofish Research Ltd. began in Vancouver in 2001 to meet the need for reliable, trustworthy, science-based environmental consulting. Twenty years ago, we imagined how impartial, complete, accurate information could help regulators make better decisions more quickly, bringing certainty to project developers and reducing the risks of environmental impacts. We worked with government and industry to improve the management of the hydroelectric industry by developing provincial and national guidelines for assessment and monitoring. Today this approach is the standard in the province, with applications across Canada and the world that brings the effective, practical results that industry, and the environment requires. 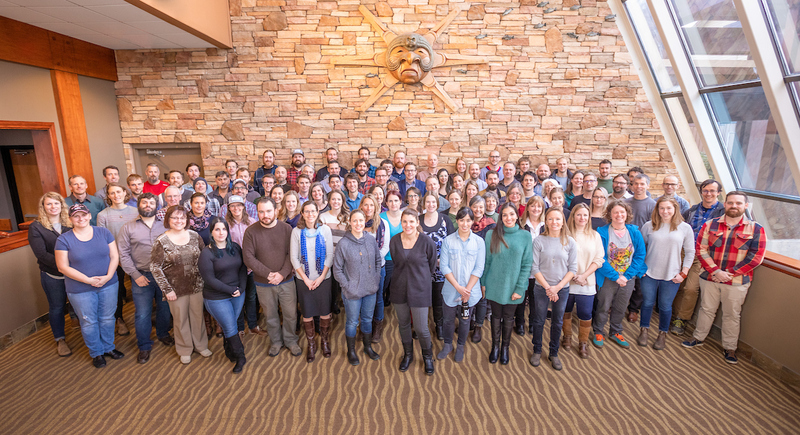 Ecofish has grown quickly in the past ten years as a direct result of our principle-based approach: we bring talented, passionate environmental professionals together and focus them on demanding projects to find better ways of assessing, mitigating and monitoring environmental effects. We give our team the best tools and the time to do the work necessary to solve our client’s key challenges, supporting their careers along the way. From the very start, our approach was based around the idea that scientific excellence, environmental integrity, and business discipline are keys to achieving these aims. These principles stand behind all of our decisions and allow us to deliver better environmental outcomes and greater value for clients. Today, we offer a broad range of trusted environmental assessment, monitoring, mitigation, offsetting and design services —delivered using a proven, science-based approach. It’s an approach that appeals to clients in industry, government and First Nations: we are a well-known and well-trusted environmental consultancy. We now have a team of over 100 scientists and other professionals capable of working on projects around the world. In 2017 we strengthened our roster with the acquisition of ECODynamic Solutions Inc., enhancing our capacity to manage environmental issues during the project construction phase. Our approach brings value in all project phases, to projects both big and small. At Ecofish, social responsibility is at the core of our mission. We bring what we do best to our community, supporting local environmental groups and taking on pro-bono projects to support local environmental initiatives. We invest in Research & Development to help us achieve scientific excellence and improved and refined scientific methodologies and approaches. And of course, we generously support a wide range of charitable activities such as food banks, medical research, and local interest groups. It’s one thing to say you’ll “go the extra mile” for clients; it’s another to deliver. Our success is founded on our guiding principles, followed without fail on each and every assignment. The power of this approach is demonstrated by the solid record of proven solutions delivered to our clients. Diligently following the scientific method, integrating the latest relevant findings and approaches from the literature, and addressing any uncertainty to make clear, evidence-based conclusions; solutions and recommendations for our clients are based on this foundation. Following our professional codes of ethics without fail, recognizing our legal responsibility to act in the best interests of our clients, our profession, our environment, and the public. Providing outstanding service by working closely with clients and within project teams to adjust effort and approach as needed to deliver the highest quality products on time and on budget. Creating a safe, progressive workplace that meets or exceeds all safety, employment, and environmental standards, while fostering customized career development through mentorship and training; sharing our professional expertise with local environmental initiatives and donating to charities in our communities. Our leadership team are experienced consultants with decades of experience hard-earned across hundreds of projects. We play key roles in our clients’ interdisciplinary teams, working with industry, regulators, and governments. We are committed to ensuring that all work is completed safely, to the required technical standard, on time and on budget.